Review: "Black Sabbath: Master of Reality (Deluxe Expanded Edition/remaster)" - Sea of Tranquility - The Web Destination for Progressive Music! Though the Black Sabbath catalog has already been remastered & reissued in the UK a few years ago, we've not seen domestic releases here in the US, until now, no doubt spurred on by the band announcing their 'The End' tour, which will see them criss-cross North America for the very last time. The first in line are the initial trio, Black Sabbath, Paranoid, and Master of Reality, with surely more to come. For those who plunked down the cash back with then UK reissues came out, no need to get these as they are virtually identical (save for perhaps some packing differences), including the same remaster versions and bonus material. If you happen to own the initial Warner Brothers CD pressing of these early heavy metal classics, the sound is a bit brighter and clearer than those rather rough (though still great sounding) CD releases, so you'll have to make the decision whether to go ahead and pick these up or not. The wealth of bonus material, artwork, photographs, and liner notes are extensive, so that alone might make it worthwhile for many. Here on Black Sabbath's third release, what is now considered a doom or stoner rock classic, the band get even darker, even heavier, with crushing dirges like "Sweet Leaf", "After Forever", and "Children of the Grave" making up the legendary trio from side one that forever will resonate in the minds of the somewhat casual Sabbath fan. However, it's important not to overlook the mighty "Into the Void", the lilting "Solitude", or the menacing, riff-tastic "Lord of this World", as well as the two charming guitar instrumentals "Embryo" and "Orchid", all great examples of just incredible the band were at their craft during this time period. 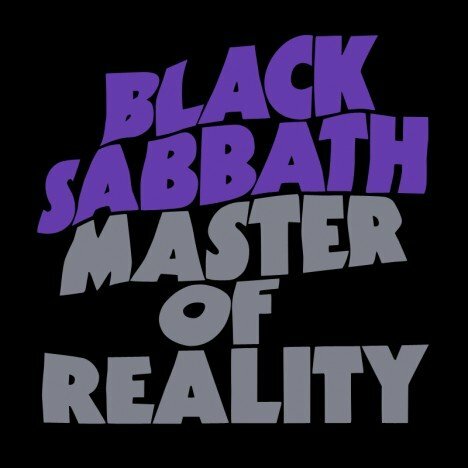 Easily a Top 3 album of the Ozzy years, Master of Reality never gets old, and still sounds fresh here in 2016 as it did in 1971. Over on the bonus disk, you get a wealth of really fascinating stuff, easily the best bonus material of the first three album reissues. A few songs with alternate (and odd) lyrics ("Sweet Leaf" is hilarious), an intriguing "Lord of this World" with piano & slide guitar (! ), the boozy, heavy, previously unreleased "Weevil Woman", and a few outtakes from the sessions. Cool stuff for sure. Add in a great booklet packed with liner notes, photos, artwork, and lyrics, plus a great sounding remaster on the main album, and you have a very essential reissue of a heavy metal classic. This "deluxe" reissue is a perfect example of how the bands and record companies pull an iPhone on the fans - i.e., have you buy something you already have again every few years. First the original is put on CD; then the remaster; then the UK deluxe version; then the US deluxe version. And the outstanding bonus features? Instrumental versions? "If only I could hear all those great Ozzy-era songs without Ozzy!" Alternate lyrics? "Wonder what that sounded like when the lyrics sucked?" And who can live without "Orchid", exactly as on the original record, but with Tony counting to four first? The biggest revelations on this particular set are "Weevil Woman 71", a song that never found decent lyrics (or a decent name, for that matter), and a version of "Lord Of This World" with (gasp!) barely-there piano and occasional brief out-of-tune slide guitar asides. There's a reason why these things were never on the original album - they wanted you to like the original album. If they interest you enough to pay much more than you did for the original, perfect-in-your-mind album, you are not only a glutton for punishment but a gullible sucker for greedy people who already have more money than God. But, hey, start saving now, I hear they'll be re-releasing this in a few years with an extra picture of Ozzy's right pinky in the liner notes for only $200!